While I was trying (yet again) to clear up my scrapping island, I found some pieces of the paper I used for my challenge layout (here is a LINK to that post). 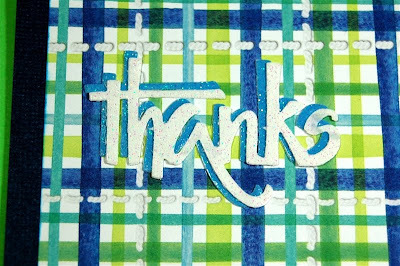 This plaid design was from the Creative Memories "Bright Baby Boy" collection and is no longer available. It is one of my favorites and I didn't want to let any go to waste so I made this quick and simple card. Fortunately, I do have the digital version of this paper so I will never run out! The card is a standard A2 size ( 8 1/2 x 5 1/2 inches folded horizontally). The plaid paper is cut at 4 1/2 x 3 1/4 inches and the dark blue layer is 5 x 3 3/4 inches. 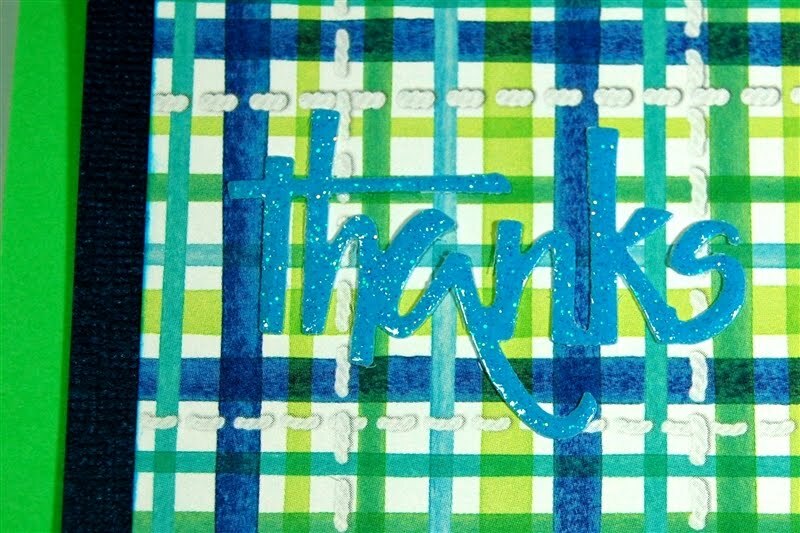 I used the Cuttlebug to cut the "thanks" from blue glitter cardstock using the die from the "With Gratitude" Combo set. Some people have found the card making Cuttlebug Combo sets at Big Lots for the incredible price of $2.00 (A2 folder and die) so be sure to look for them if you have a Big Lots nearby. I paid far more than that (but then again I have been using these sets for quite a long time). They are very handy for quick cards. 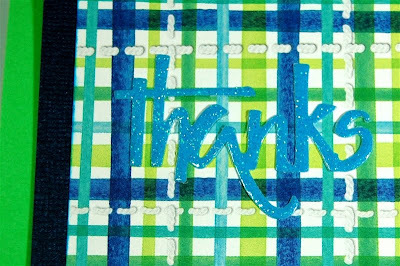 I cut the "thanks" again from white glitter cardstock and layered the two for a shadow effect. You can also use this trick for Cricut cuts that do not have a shadow option. 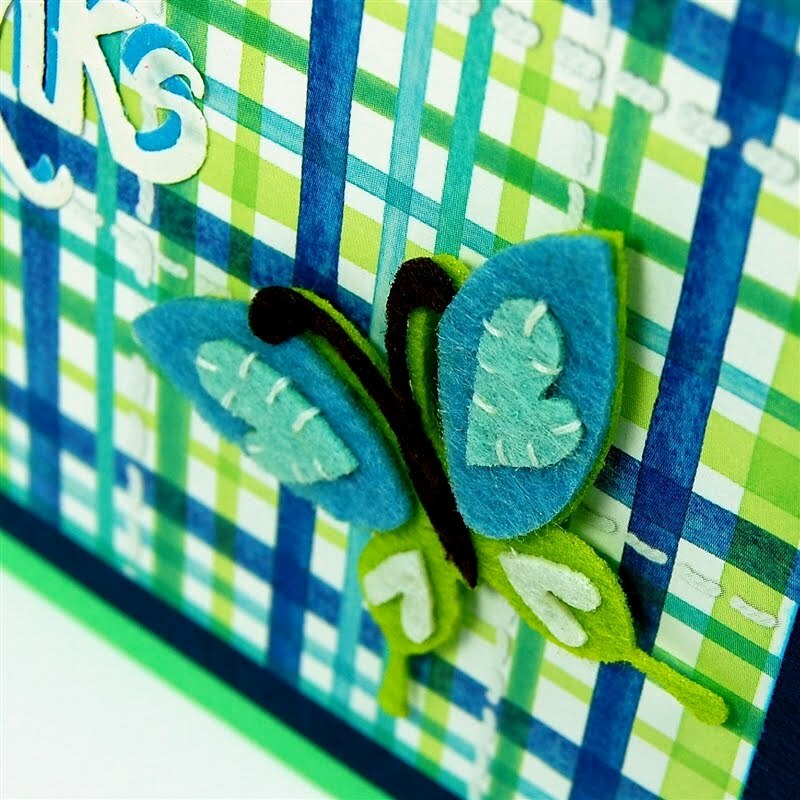 The embellishment that makes this card work is the butterfly from this set from Creative Charms. The colors are perfect with this paper and the stitching on the butterfly coordinates with the printed stitching on the paper. 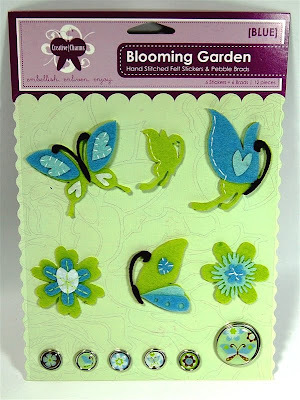 Here is a LINK to the page where you can find these embellishments. They are available in blue and pink. While you are there, be sure to check out the deal of the month - a $25.50 value for $8.99. I have been working with the products Creative Charms sent me for several months and have found them to be interesting and of high quality. I recently was asked to join the Design Team at Creative Charms so I will be sure to let you know about the new items and specials that they offer. Here is a closer view of the butterfly. It really seems like it was meant for this paper! Don't forget to check out the Cuttlebug Challenge Blogspot tomorrow to see the projects the Cricut Design Team has created for Father's Day. There will be full details and .cut files available for my projects here on my blog. Also, tomorrow is the long awaited "Hello Thursday" with new Cricut cartridges announced and a rumored update for the Gypsy. This month should be exciting since last month there was only a sneak peek and no new cartridges were released. That paper is wonderful! I can see why you love it so much. I wish we had a Big Lots around here. Love your butterfly! Love the blues and greens together. So bright and cheery! 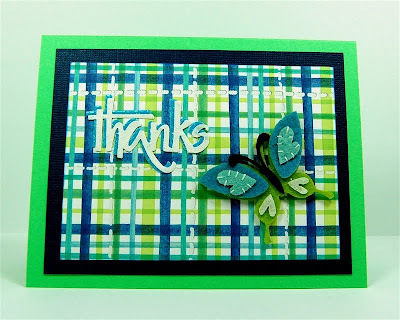 Nice little card and great to see you using scraps. 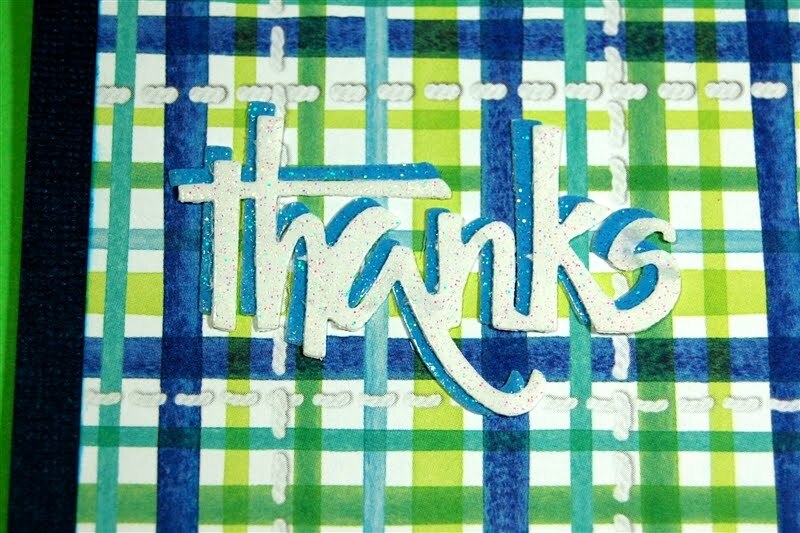 You know the hard work we all put into our projects is quite understated by people that haven't ever tried...and even though this is a simple card, it still takes the time and thoughts. Well done! Congratulations on your new Design Team position. It was definitely their gain to get you. Thanks for the tip on Big Lots - I just got back with 14 Cuttlebug items for $2 each - I'm sure I needed all of them! Digital Variations - so many Possibilities! Earth Friendly Water Bottle - Give a Hoot! One more card - and a surprise! Baby Cards - use that cute paper! Another Vintage Find - Digitized!